Slate Family Name Plaque - - with a huge monogram right in the center, your family name or address, and year the family was established. Line 1 with family name holds up to thirty (30) characters. Established year is four (4) digits in XXXX format. Color: black with white wording. Monogram is gray. 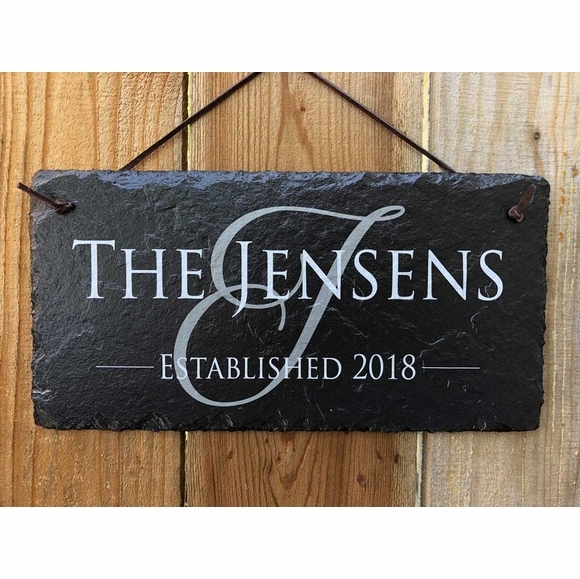 Family name in large image: The Jensens.